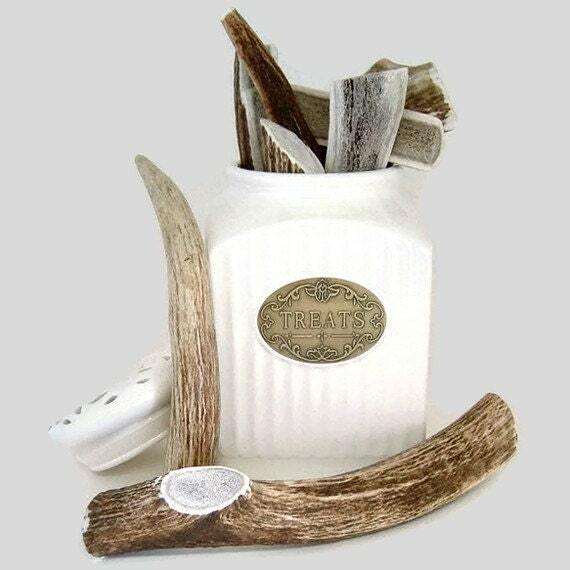 Antler Dog Chew, Whole with little to no exposed marrow, and all cut edges smoothed for your dogs safety and comfort. Weight between 7.1-10 ozs. Length between 8.5"-11" Sized for dogs over 80 lbs. Show your pet you are a true dog lover. Your German Shepherd or Rottie will thank you.